Enjoy a GPS scavenger hunt game that will help you get more familiar with Austin. Once you arrive at the Austin Visitor Center, you will be greeted by your group facilitator and given an orientation of the MOST exciting new sightseeing game/tour. It takes just a few minutes to create your team name and you are off to the races to save the world from evil! 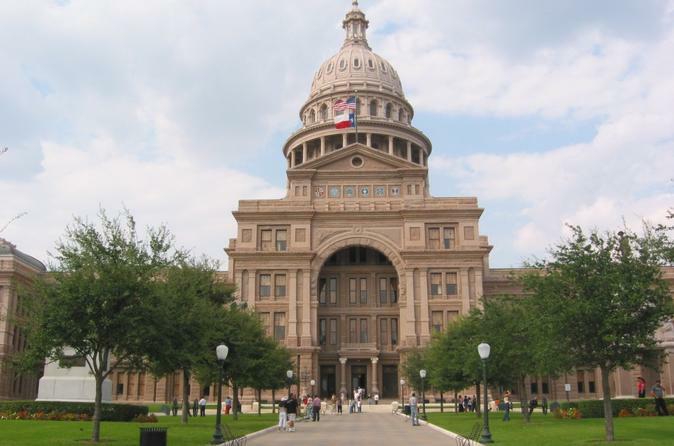 When you want to ENJOY Austin Texas there are places that you must see, the State Capital and the Driskill Hotel. This historical based sightseeing journey is a technology based game that will help you get familiar with Austin. We provide the IPads to play the game. You may use an action pack to solve difficult riddles and puzzles on your way to the State Capitol of Texas. We prefer to keep teams to six so may launch multiple groups at one time where scores are calculated for those who like competition. Imagine a video game that has suddenly come to life. Austin Cluetivity is a game that combines state-of-the-art augmented reality technology with a mapped scavenger hunt that consists of trivia like questions, riddles, puzzles, mysteries, and more. Clues to solve the mysteries will be found in both real and animated worlds. Each team will receive an iPad with the game pre-loaded, and an 'action-pack' with tools needed to solve the mysteries. A magical map will appear on the iPad to navigate you towards dropped pins (or crystals) using built-in GPS technology. The location of your team will be shown on the map to aid you in reaching each destination. Once your team is in close proximity to the crystals (or pins), a question or task will appear on the screen. You will need to use the provided 'action-pack' tools to solve the mysteries and earn points. Your group will be guided by a 3D goblin who can give hints and help you along your journey. Each unique mapped route will consist of popular downtown destinations, scenic areas, shopping districts, historical locations, coffee shops, and more. In these areas you will find hints and clues to help you solve the mysteries, and earn points. The team with the most points when the timer runs out, wins!